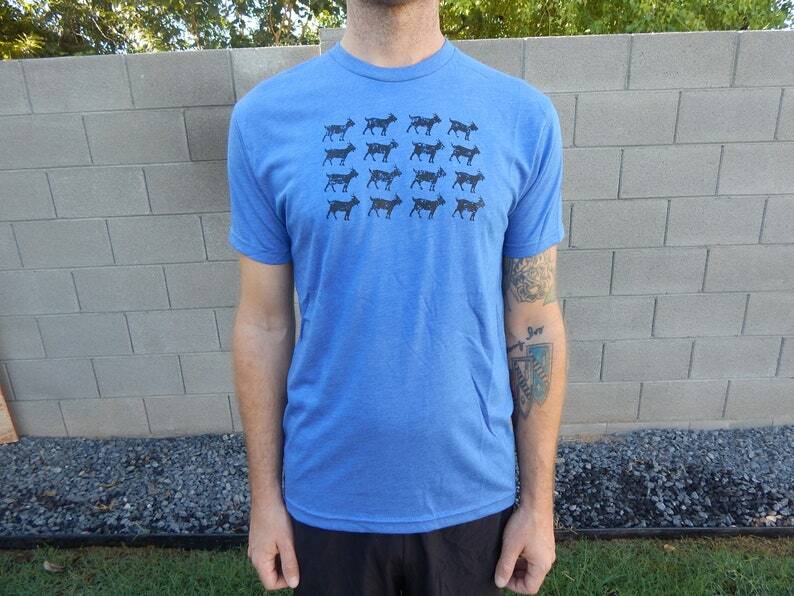 Tiny Farmer's screen printed GOAT HERD image. Enjoy everything you love about the fit, feel and durability of a vintage T-shirt in a new version. Super soft t-shirt. Wonderful t-shirt! Great color and so soft. Packaging was great and made the item ready to give as Christmas gift. Husband loved!